Swags, Cascades, Valance, Cornice and Draperies. The possibilities are endless! 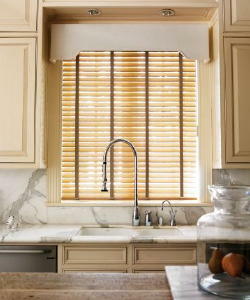 Available in a variety of shapes and fabrics, top treatments add style to windows and can also conceal window treatment hardware. 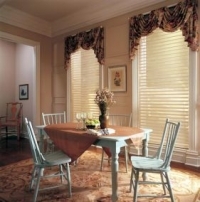 Window cornices are a simple, inexpensive way to dramatically enhance any room. They’ll add a touch of custom-made detailing that makes an ordinary window or patio door look like something special. Cornices can be placed on any type of window covering, from verticals to mini blinds, adding a depth of elegance and warmth. A valance adds a touch of elegance to any window without hiding the detail of the frame or obstructing sunlight. 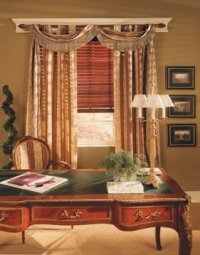 The many valance styles, the pleated valance, the scarf valance, the box valance is constructed with minimal yardage making this window treatment very affordable. The Drapery Sheer vertical is two blinds in one. 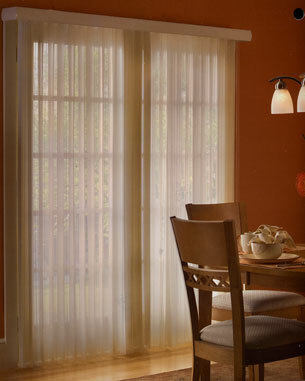 It operates like a vertical blind and has the look and feel of a soft drape. The sheer is great for sliders and rooms that need a more formal look.